New York Times fashion critic Cathy Horyn leads fashion designers Narciso Rodriguez, Ralph Rucci and Maria Cornejo in a panel discussion about the state of fashion today. These designers, all featured in Design Life Now: National Design Triennial 2006, speak about their work and the role of fashion in contemporary culture. 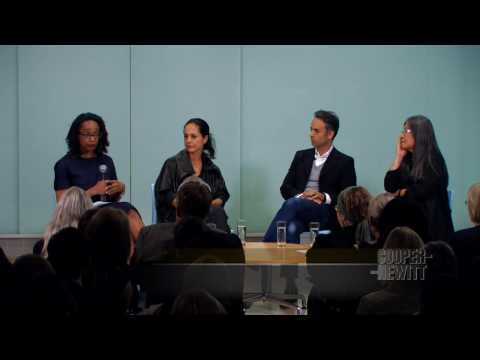 Washington Post Style Editor Robin Givhan, leads a conversation with past National Design Award Winners Francisco Costa (Womens Creative Director of Calvin Klein Collection), Yeohlee Teng, and Maria Cornejo about their work and the role of fashion in contemporary culture. Their designs are featured in Design USA: Contemporary Innovation.